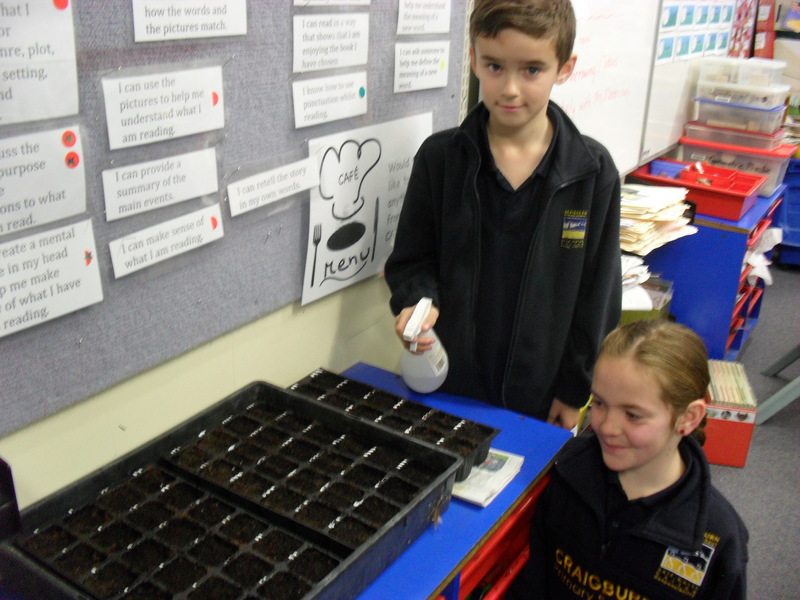 We are patiently waiting for our eucalyptus seeds to show signs of germination. Here are Archer and Jess making sure that the seed trays are kept moist. 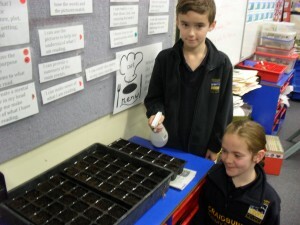 Hi Mr Hanna’s class – great to read through your new blog. I enjoyed reading through your posts to learn about the activities you are doing at school. Keep on posting and sharing.